Marinated anchovies is a tasty, cold antipasto that can be served with homemade bread (pane casereccio) or enjoyed as a main dish with a fresh salad. 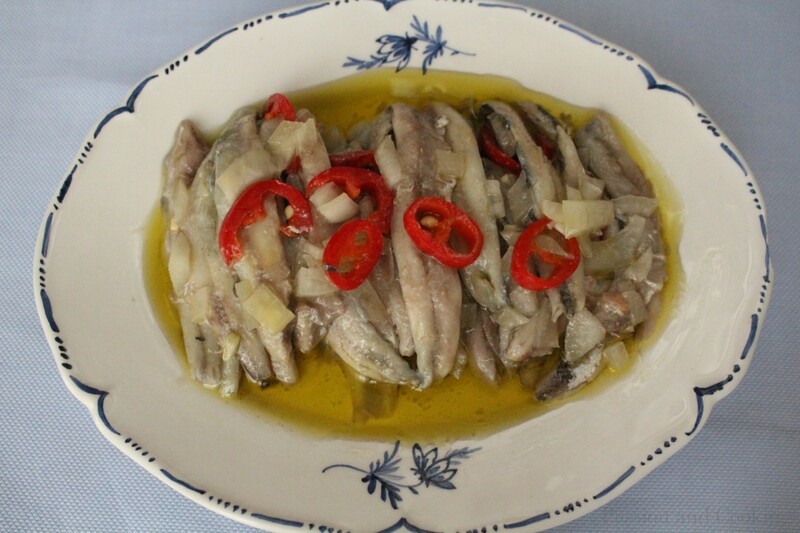 The simple dressing prepared with olive oil, lemon juice and vinegar enhances the flavor of the anchovies, so reminiscent of the sea, while the onion and chili pepper make this dish even more flavorful. This is a typical Mediterranean dish, and fish is the star ingredient. Anchovies are native not only to the Mediterranean sea but are also found in the Baltic Sea and the Atlantic Ocean. They are tasty, rich in protein, iron and omega 3 fatty acids, (very important for regulating lipid metabolism and blood fluidity). 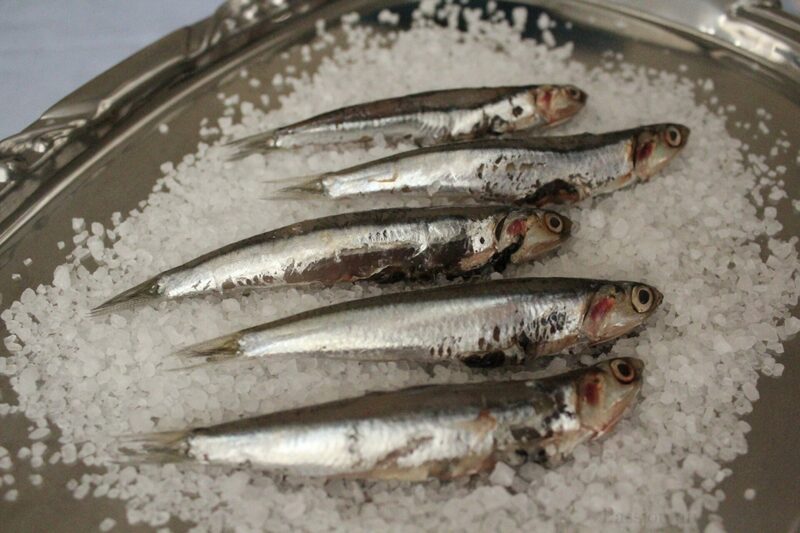 You can enjoy anchovies either fresh or preserved in salt or olive oil. They are excellent for preparing sauces and, of course, on pizza – do not forget the tasty Neapolitan pizza! Marinated anchovies are something you can prepare in advance, because they keep well in the refrigerator for several days. Oh boy, anchovies. People either love them or hate them, at least here in the United States. I do not think any other fish elicits such strong emotions. Is it like that in Italy as well? What a classic dish – so simple and so perfectly Italian! Do you think there is a work around if you can’t get fresh anchovies? I was looking at the Amazon website and they had anchovies that didn’t seemed to be marinated in too much of a sauce. Do you think they would work o.k. in the recipe?